If you have any knowledge of the music industry, Geoff Emerick is already a familiar name to you. He stands out as a true pioneer in the business, having won lifetime achievement awards and multiple Grammys, including a technical Grammy. On the other hand, even if you don’t recognize his name you are already familiar with his vast body of work. He has been a major influence in shaping the music industry for the past 50 years. He began his career at the tender age of 15, when he joined EMI records in London. ​His creative, innovative ideas are listened to and enjoyed as much today as they were when his fresh, new, ground breaking, and yes even mind blowing style propelled the rock and roll era forward into its golden age. His work on so many iconic albums from the 1960’s to the present day literally took rock and roll to a whole new level of success not equaled before or since. As rock and roll evolved and grew, it was in large part due to his hands being at the controls. Entire generations owe Geoff a huge debt of gratitude for enriching our lives and broadening our horizons. 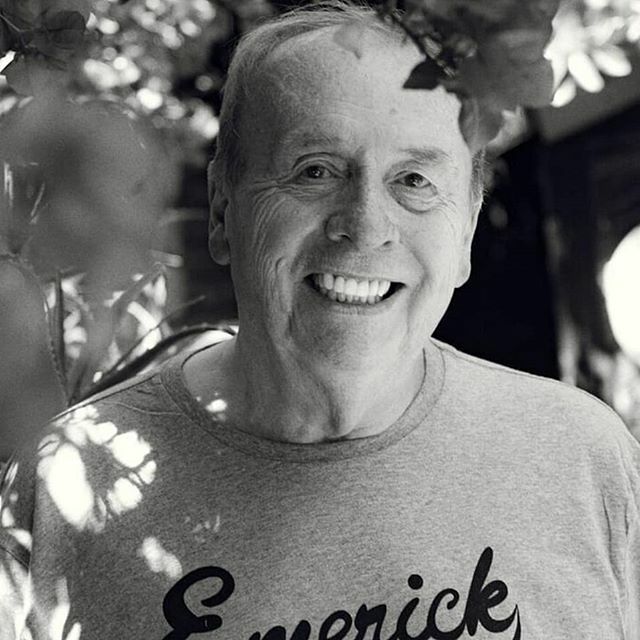 If music is the universal language, then Geoff Emerick is the Shakespeare of modern times.